Constructed from premium materials and featuring stainless steel accents, the Aerator uses 24 carefully placed and sized holes maximizing wines' contact with air. Thin streams of wine exposed quickly to air, producing similar results to decanting. This process yields smoother, more aromatic wines. 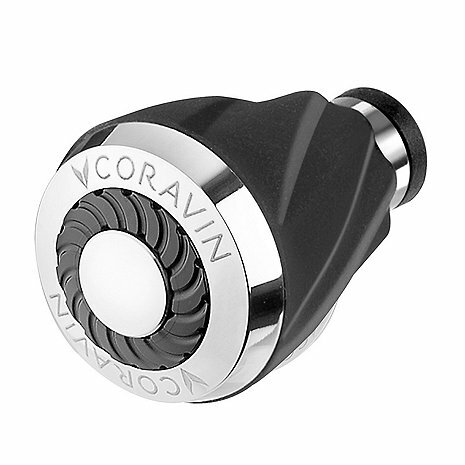 Fits securely on the spout of all Coravin Wine Preservation Openers to aerate any amount of wine. Simply press on and pour. I FOUND that the Aerator does not stay on the corvine very well, what am I doing wrong ? Or is this an issue with this item? When pouring the wine sometimes it became one solid stream of wine instead of multiple separate drops, what should I do? Is this important?